CAROLINE GAIMARI — What is happening at Standing Rock, the Dakota Access Pipeline protest camp where the Cannonball and Missouri rivers meet in North Dakota? OSCAR TUAZON — It’s an organized action to stop the continuation of the Dakota Access Pipeline. There were two proposed pipelines routes: one to the north, which would avoid the water of the Missouri River, but pass near the city of Bismarck. The current route chosen by Energy Transfer Partners was diverted around Bismarck and directly under the Missouri at a point on the treaty lands of the Standing Rock Sioux. The Native Americans objected to it from the very beginning, in 2014. The ETP has gone ahead with the plans, backed by the Bismarck police force via the Army Corps of Engineers, which are supporting this oil pipeline that would go under the Missouri River — which drains all the way down to the Gulf of Mexico. This river provides water for drinking and farming for 18 million people. The idea of putting an oil pipeline under that is unacceptable, especially when it goes through sovereign tribal land. The broader issue here is maintaining the treaties that have been established and are in the process of being broken, and respecting the sovereignty of these tribal nations. CAROLINE GAIMARI — This situation is also putting the question of clean drinking water at the forefront. 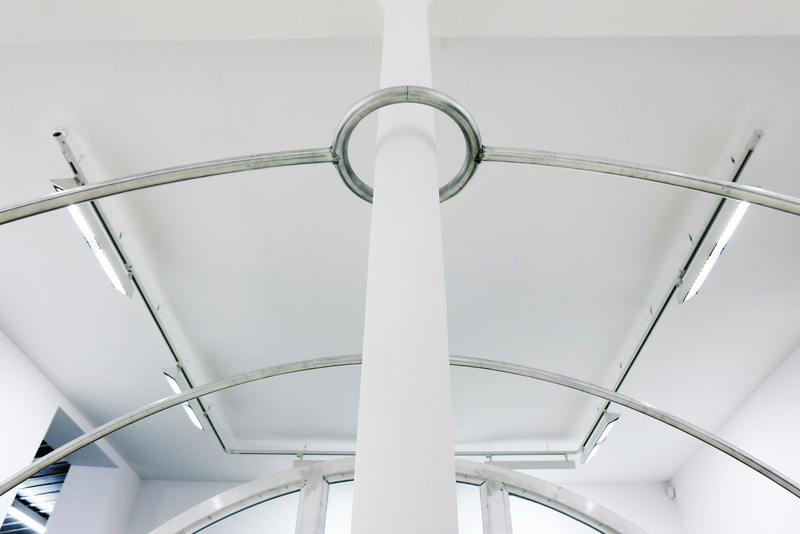 OSCAR TUAZON — Yes. Instead of providing the infrastructure for people to have clean drinking water in cities, our government is putting its resources behind oil companies, or becoming an oil company. We can’t trust big oil to essentially determine what clean drinking is going to be for the rest of us. So far, they have a terrible record, with hundreds of burst pipelines all over the country. CAROLINE GAIMARI — The main fear is that the pipelines will burst? OSCAR TUAZON — It’s not a fear! It’s now basically a fact. In California, just up the coast above Malibu, at Refugio State Beach, there was a pipeline that burst offshore and polluted sea birds and destroyed beach environments all the way down to San Diego. That was two years ago. Environmental regulations in the US are already pretty low to begin with, so there is not too much stopping these projects. In regards to North Dakota, at this time of exceptionally low gas prices, it’s obvious that this pipeline is not needed. There is already an over-production of oil on the market. CAROLINE GAIMARI — Tell me about your first trip to Standing Rock. OSCAR TUAZON — I went there first at the end of September. I had a couple of days during a break from a teaching assignment in Washington to go over there and volunteer. At that point, things were already heating up; there had already been 40 arrests, and this was after the Labor Day attacks with the German shepherds being sicced on protestors. The pipeline was a little bit further back from the camp. People were chaining themselves to the construction equipment and getting arrested. While I was there, we did a direct action with about 100 cars. We left camp and drove through the pipeline area and managed to shut down the work on the pipeline that day. At that point, there were 2,000 or 3,000 at the camp, and now it’s over 10,000. CAROLINE GAIMARI — You stayed overnight? OSCAR TUAZON — Yes, I camped by the river. I had to go back the next day, but already in a very short time I saw some of the incredible leaders of the movement speaking around the sacred re. David Archambault II, the Chairman of the Standing Rock Sioux, was there around the re from morning until night. CAROLINE GAIMARI — Did that first visit inspire you to go back? OSCAR TUAZON — It was really an incredible experience. When I got back from Standing Rock, I started to think about how I could contribute. This is a movement that is much bigger than me, of course. I am trying to participate as an artist is able to, but keeping in mind that labor and donations are what they need. One of the things that is so beautiful about the camp is that there is really an egalitarian spirit — each person’s contribution is valuable, at the level that you are able to contribute. CAROLINE GAIMARI — Did you provide structures for the camp? OSCAR TUAZON — I’m working on it. Unfortunately that hasn’t happened just yet. I chopped wood. I worked in the kitchen making coffee. I donated my tent, my sleeping bags, and all the supplies that I had brought on my first visit. I donated more supplies on my second visit. I had intended to build a tent; it’s kind of a Quonset-type structure. Last April, I did a show at Chantal Crousel called “Shelters,” and the main structure there was a Quonset tent. It was kind of a model shelter. CAROLINE GAIMARI — Did you have this kind of emergency scenario in mind? OSCAR TUAZON — I didn’t make it for any one particular need or destination. I was thinking about a specific problem, however: a space for one family. At that time, in Paris, it really resonated with the camps in Calais that were about to be cleared at that point. Coming back to the US — when I became aware of what was going on at Standing Rock — a light bulb went off in my mind: that tent really belongs at Standing Rock. But by being there, I understood that coming up with a simple process of building was more important than a finished product. Trying to make an architectural toolbox, using what’s available. This tent is smaller, more efficient, easier to build on site. A set of bent steel tube frames make an ellipsoid half-circle about 6 feet high, 8 feet wide, and these frames can be extended as long as you want the tent to be. Something you can set up in a day and, with a small stove and the proper insulation, should be able to be used as shelter and sleeping space in North Dakota winter. CAROLINE GAIMARI — What kind of emergency structures did you nd at the camp? OSCAR TUAZON — The structures being built there are really interesting. It’s been an amazing seminar in temporary emergency architecture, in a lot of different forms. Of course, tipis predominate, and you can see why they have worked in that environment for thousands of years. But there are also wigwams, yurts, geodesic domes. And now, more and more heated, semi-permanent wood structures. In just that one month in between my visits, I could see how this informal camp had become a town of its own. There are streets, emergency services, a school. There’s commerce without money. Everything except weapons, drugs, and alcohol. It’s utopian urban planning in action, and the energy of this makeshift city embodies so many of the things I try to do in my own work. CAROLINE GAIMARI — Is this your main focus right now? OSCAR TUAZON — I think it is an environment where my work can be useful. Thinking as an artist — what I think about the most is function and utility, and the apparent paradox of a useful artwork. It’s not a paradox. This is a real-life situation where the models that we’ve developed in the art world can really be tested out. For me, it’s important to extend the range and pow- er of what an artwork can do beyond the confines of an art context. Art and culture play a huge role in the movement — from the singing and ceremony at the camp to the banners that are being produced, the media that is being created, the structures that are being put up. It’s an incredibly rich context in which to work. CAROLINE GAIMARI — Is there a risk or a necessity for art to become so closely linked to a political context? OSCAR TUAZON — Being an artist and making an artwork is inevitably a political act. Sometimes you think about it less than at other times, or you can try to deny it, but it’s always there. I’ve always thought that an artwork has to be tough. It has to be able to fend for itself in the world. Of course, there is a risk. As an artist, you have a voice, and if you can’t risk working in public, then you probably shouldn’t be working. As an artist, you have to know who your audience is; you need to know whom you’re working for. And you need to be realistic about what the work can actually do. The kind of work that I have always been interested in engages the public, happens in public — Vito Acconci, Group Material, Felix Gonzales-Torres. The things that capitalize on the public spheres of the art world to do something more interesting than simply produce objects. CAROLINE GAIMARI — Who is present at the camp? OSCAR TUAZON — It’s a broad coalition. There are over 300 native nations represented there, and many of them have permanent camps. The camps are drawing people from all over the world. I met people from Brazil, Argentina, Canada, Japan … it’s such a universally resonant environmental message. It’s so basic, really. Clean drinking water. Especially here in California, water rights and water struggles are a forefront topic. And it’s no different in other countries — the issue affects us all. CAROLINE GAIMARI — Why do you think Americans don’t make environmen- tal protection a priority? 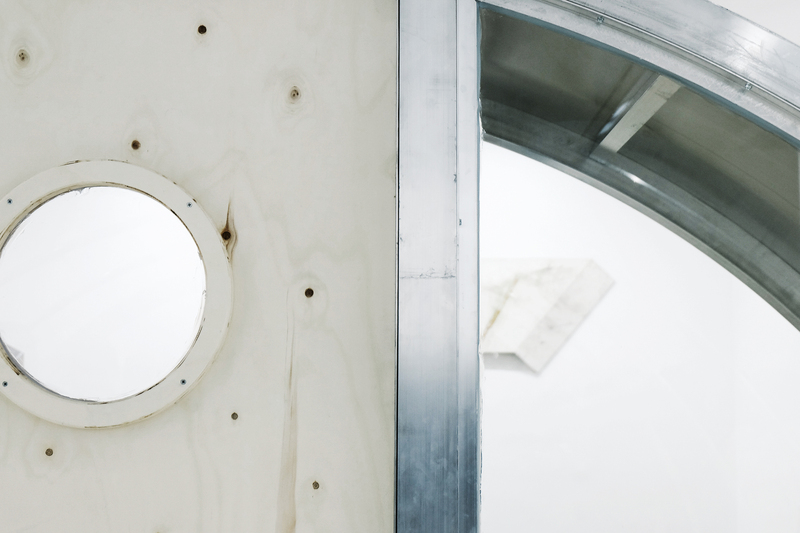 OSCAR TUAZON — It’s always framed in really deceptive ways. It’s framed on short-term economics; like the whole idea of reopening coal plants — it has a short-term economic effect, but it leaves a long-term environmental cost that eventually has to be cleaned up, so we sign ourselves up for years of destruction that will have to be paid for eventually. DAPL [Dakota Access Pipeline] is a perfect example of this: a $3.8 billion pipeline that will make a small circle of investors some short-term money, but it would create environmental devastation that will last for generations. And I think people are finally sick of paying that long-term environmental cost. CAROLINE GAIMARI — What may be the outcome of these protests? OSCAR TUAZON — Whatever happens in North Dakota, the movement crystallizing here has set a precedent of historic importance. There is a consistent pattern in America of genocide, disenfranchisement, land grabs. This touches really close to home, having grown up on Suquamish treaty lands in Washington State, and seeing how tribal water rights and land rights have played a pivotal role in environmental protection. The Fish Wars of the ’60s and ’70s established the power of native sovereignty to protect sh habitat and clean water, something we all bene t from. Veterans of the Fish Wars are there now. Being at camp is an incredible intellectual experience where these histories and struggles across generations are coming together, peacefully. There is a pan-tribal movement growing; it’s been growing for decades, but now we really see the strength of this movement at Standing Rock — over 300 native nations standing together to defeat this pipeline and build enthusiasm for the fights to come.